4 Bedrooms, 4.5 Bathrooms, Occupancy 14, Ski In and Ski Out Access If you are looking for the vacation rental home of your dreams with a great ski location, look no further. 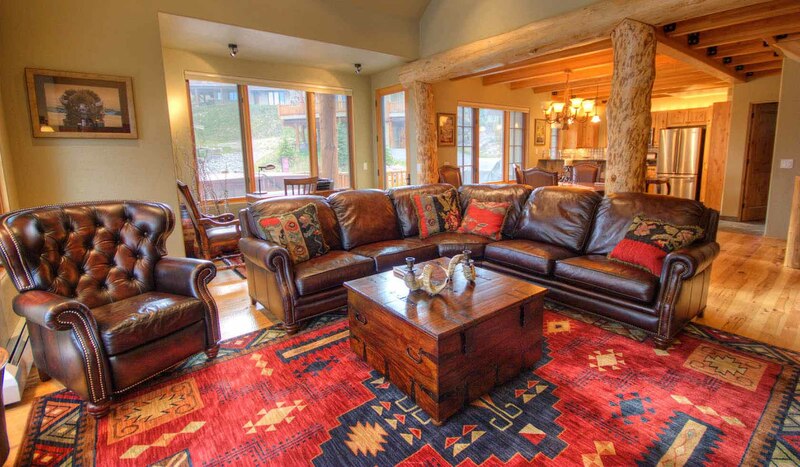 This luxurious ski-in/ski-out home at Moonlight Basin is located in Cowboy Heaven, not far from the Moonlight Lodge. This unique property is perfectly located to give you access to ski either Big Sky or Moonlight Basin, or both, via the Iron Horse Ski Lift. Location, Location, Location......The ski runs to get to the home are all green, making it easily accessible for all types of skiers, including young kids. You can literally ski to your front door. Skiing out allows you to ski right to the Moonlight Lodge to get ski lift tickets, cup of coffee, paper, treats, etc..